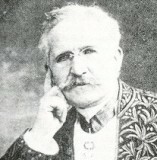 Jules Carpentier enrolled in 1871 at the École polytechnique in Paris, and, when his studies were completed, bought the workshop of the physicist Ruhmkorff (inventor of the induction coil) at 20 rue Delambre. There he manufactured precision instruments and electrical and optical machines. His main outlet in 1895 was Léon Gaumont's Comptoir Général de Photographie. On 22 March 1895, Carpentier was present at Louis Lumière's cinematographic demonstration at the Société d'Encouragement. At the end of the lecture, Lumière suggested that Carpentier should make manufacture this new camera/projector. However, only eight days later, Carpentier filed his own patent for a camera called the Cynégraphe which used perforated film. A ramp system (système à rampe) provided the intermittent movement. But Carpentier, like Max Skladanowsky in Germany, chose two linked projectors which projected alternate frames. This impractical system was soon abandoned. At the end of October 1895, Carpentier began to manufacture Lumière's Cinématographe (the first model had been built at Lyon). The machine travelled to and fro between Lyon and Paris, for the final delicate adjustments, and the definitive model was finished by the end of the year. Lumière then asked Carpentier to make 200 of them. Carpentier continued to work with Lumière: at least 700 or 800 Cinématographes were eventually made, followed by the Carpentier-Lumière for films 400 metres long, for use with 75 mm cameras and projectors (1900). 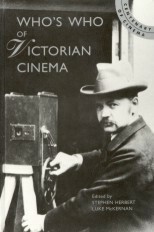 In 1909, he brought out, still in collaboration with Lumière, the Cinématolable camera using 35 mm film. Jules Carpentier seems to have been the first to file a patent for a Maltese cross projector (28 March 1896). The mechanism was also used by Victor Continsouza (patent filed 28 April 1896), and then used worldwide in almost all cinema projection. Carpentier died in 1921, following a car accident.